As the lunar Chinese New Year just around the corner, streets and markets in Lhasa are livening up. Many people go out shopping for the coming holiday which is two weeks away. 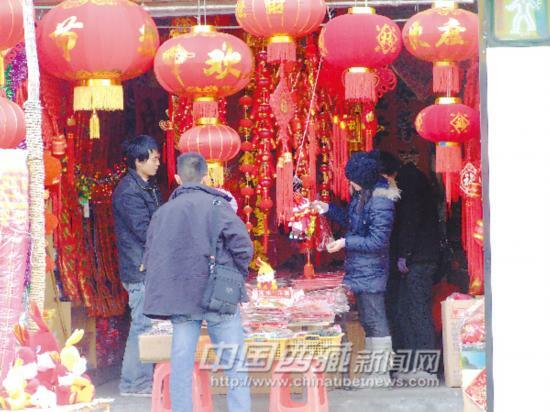 "The Spring festival is coming and my Chinese knots(a kind of Chinese handicraft) sell well! My store will open until the New Year's Eve!" said Mr. Huang, a Lhasa boutique owner from Hubei Province. The Spring Festival is a time for family reunions in China. On the Chinese lunar calendar, 2011 is the Year of rabbit.